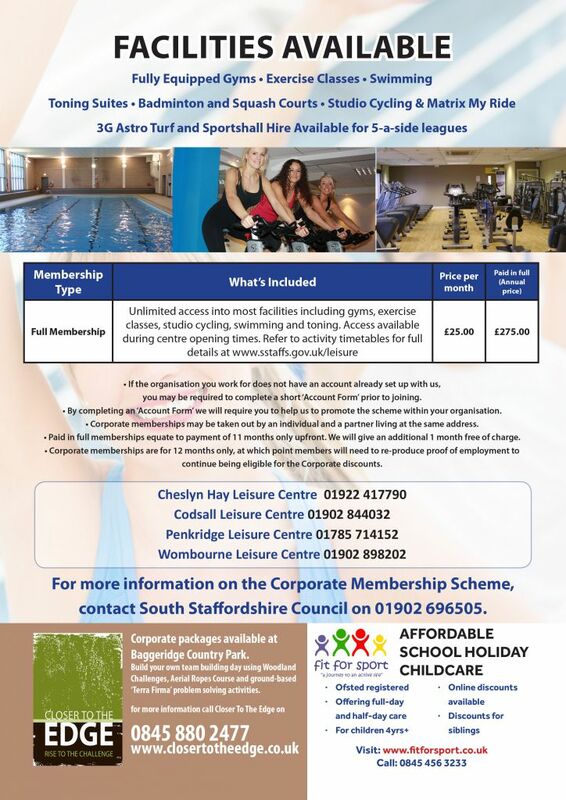 South Staffordshire Business Hub are offering you and your business the opportunity to gain access to the four fantastic leisure centres available in the district with some great corporate membership offers. Being healthy and active does not just benefit you, but your workplace too! A healthy and happy workforce can help reduce sickness absence, improve people’s concentration and increase productivity levels. 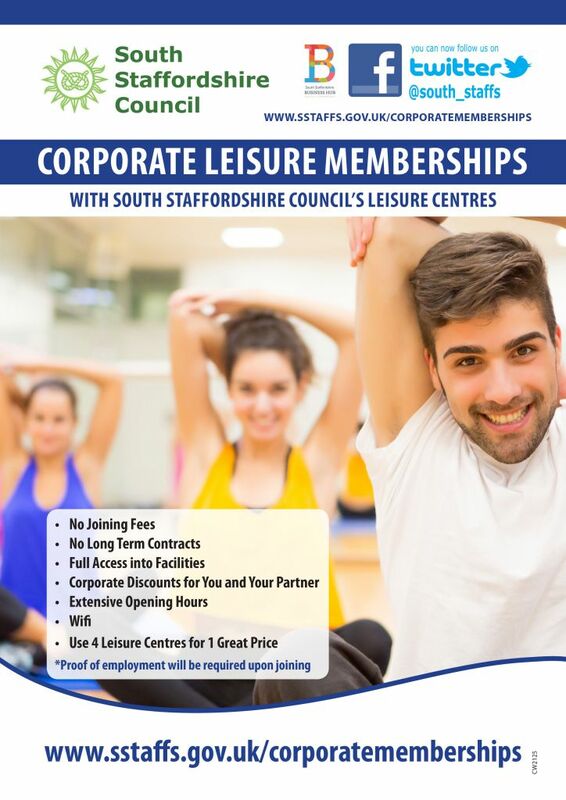 In partnership with the Council’s Leisure Centres, the Business Hub offers your business and its staff the opportunity to gain access to four fantastic leisure centres with some great corporate membership offers. It is really quick and simple to sign up and what’s more, there is no joining fee! £25 for a full membership which includes access to all areas including; gyms, exercise classes, toning suites, swimming, studio cycling and my ride. If you are interested in our workplace health products please contact a member of our team by clicking here to complete our Expression of Interest Form, email businesshub@sstaffs.gov.uk or give us a call on 01902 696124.